Discover out-of-the-way places like Island Art Association and Main Beach Park. Do your shopping at Blue Door Artists and Art on Centre. And it doesn't end there: head outdoors with Egan's Creek Greenway, learn about all things military at The Maritime Museum of Amelia Island, sample the fine beverages at Marlin & Barrel Distillery, and look for gifts at Pelindaba Lavender Amelia Island. 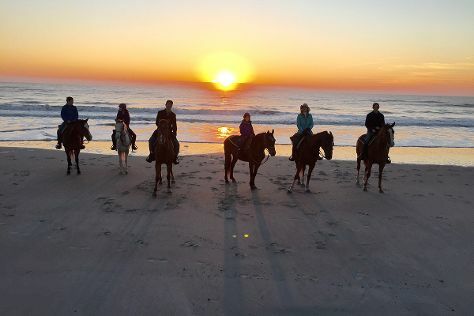 To find maps, traveler tips, more things to do, and more tourist information, read Amelia Island trip planner . Expect a daytime high around 84°F in May, and nighttime lows around 68°F. Wrap up your sightseeing on the 3rd (Fri) early enough to travel back home.